The Public Order Offences Act 1986 covers a wide range of offences, stretching from drunk and disorderly conduct to riot behaviour. 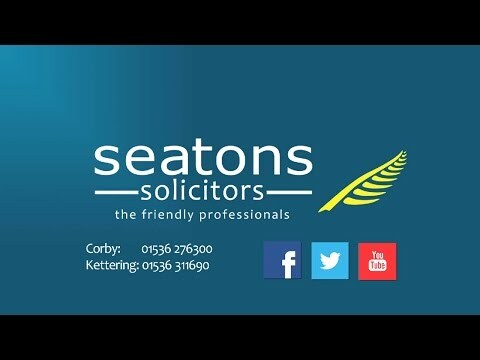 At Seatons, we will act for you when you need it most, either at the police station or in Court, and provide clear, easy to understand legal advice. This page will provide you with a list of the offences included in the Public Order Offences Act and which we can assist you with should the circumstance arise. Penalty: Maximum fine of £1,000. This is defined as being drunk in a public place and using threatening, abusive or insulting words or behaviour. As the offence does not usually require an element of violence, it is generally considered minor and can be determined by the police at their own discretion. Penalty: Maximum sentence of 10 years imprisonment and an unlimited fine. A riot is defined as 12 or more people in a group who together use or threaten to use violence for a common purpose and in a way that could lead others to feel that their own personal safety is a risk. Due to the serious nature of this offence, the penalty is particularly severe and, as a result, it is vital that you seek legal advice before taking any further steps. At Seatons, we offer clear legal advice on the best course of action to take and will act for you either at the police station or in Court. Penalty: Maximum sentence of 5 years imprisonment and an unlimited fine. An offence of violent disorder is very similar to that of rioting, except that it is applicable to only 3 people or more. It is defined where 3 or more persons who are present together use, or threaten to use, unlawful violence in a way that could lead others to feel that their own personal safety is at risk. Violent disorder is a very serious offence and features a maximum sentence of 5 years imprisonment and an unlimited fine. It therefore important that legal advice is sought at the earliest opportunity. Penalty: Maximum sentence of 3 years imprisonment and an unlimited fine. Affray is defined as using or threatening unlawful violence towards another of such severity that a person of reasonable firmness would fear for their personal safety. An example of such an offence includes two people fighting in a public or private place. Sentences can be reduced if a timely plea is entered and a variety of defences, including self-defence, can be used to defend the charge. Penalty: Maximum sentence of 6 months imprisonment and a fine. This offence is the most common public order offence and is defined as having intent to make an individual believe that unlawful violence will be used against them. At Seatons, we are highly experienced in dealing with circumstances involving this offence, and provide clear, easy to understand legal advice at low sensible fees. Give us a call on 01536 276300 for more information and receive a quote. If you have any more questions, feel free to give us a call on 01536 276300 and receive a quote.